In recognition of your support, we invite you to be a member of Villa Gold and enjoy special privileges at participating hotels worldwide. Processing fee of RM10.00 or USD3.00 will be imposed. Payment method will be advised for successful applicant. The use of the Villa Gold Card constitutes card member’s acceptance of its governing terms and conditions of the membership programme, and may be amended from time to time. Applicants must be 18 years and above. The Villa Gold Card is strictly for card member’s individual use. It is not transferrable nor applicable for group usage. Please present Card upon check-in or at outlets for membership discount before consuming. The validity of the Villa Gold Card is indicated on the membership card. The Management reserves the right not to issue/renew the Villa Gold Card at its own discretion. The Management reserves the right not to process applications with incomplete information. By completing this form, I hereby agree to give my expressed consent to allow my personal data to be maintained by Holiday Villa hotels and resorts for direct communication purposes. The Villa Gold Card remains the property of Holiday Villa Hotels & Resorts. Priority room upgrade to the next available room category. Room availability for reservations made 72 hours in advance with priority wait-list. Early check-in and late check-out, where available. Express check-in and express check-out. Access to Executive Floor Lounge, where available. 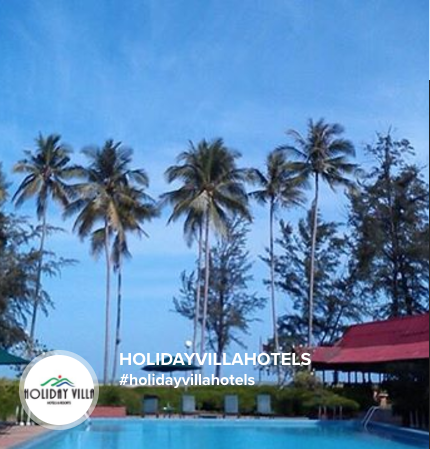 10% discount on food and beverage at Holiday Villa’s participating restaurants, bar/lounge and La Villa Poolclub & Restaurant (at Holiday Villa Langkawi ). 20% discount at Business Centre, where available. Redeem free stay (room only) from minimum 30 room nights, cumulative from stays at participating Holiday Villa Hotels & Resorts at qualifying room rate (Holiday Villa’s Online Best Available Rate), per calendar year. Free night stay is redeemable at Holiday Villa owned beach resorts OR hotel voucher which is redeemable for food and beverage or room booking at hotel location. Booking convenience via hotel website : www.holidayvillahotels.com by entering the Access Code.